BBCL Stanburry is pre-certified Gold by the Indian Green Building Council. What this means is that green living at BBCL Stanburry is not just restricted to the gardens around the villa. The entire project has been designed to be be eco-friendly and enable green choices. When we say optimum natural light, we actually mean it. Technically, a well-lit area is one that harvests 108 lux or more of natural light where lux is the measure of the intensity of light as perceived by the human eye. 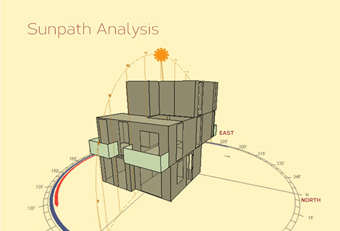 At BBCL Stanburry using scientific sun path analysis, every villa is designed such that more than 75% of the area is naturally lit with a minimum of 108 lux. That means you can minimize the use of electric lighting during the day. And, everyone knows that the better lit and ventilated your home, the healthier it is. Ultra low-flow water fixtures use less water to do what you generally do.